​We have reached a time when all of our students, and even some of our teachers, are a part of the generation we have referred to as "Digital Natives". They have had not only desktop computers and laptops, but most have had access to tablets and smartphones all of their lives. This generation has been able to use technology for learning through 1:1 programs, BYOD initiatives, and high speed Internet access. I have chosen the following artifacts to represent what I have learned in regard to Standard I. The first is a class paper on the tools available in the Blackboard LMS system. An LMS will be essential for any school going forward with a 1:1 initiative. The LMS allows the teacher to create a virtual classroom that can be used to house all of the various material for any course. An LMS is the ultimate resource for collaboration. I would love to see them redesigned so that while the course stops, learning continues in other areas of the virtual environment. Groups, clubs, anything that would allow discussions to continue and learning to expand through peer learning possibly facilitated by a teacher could change the face of our current educational system. 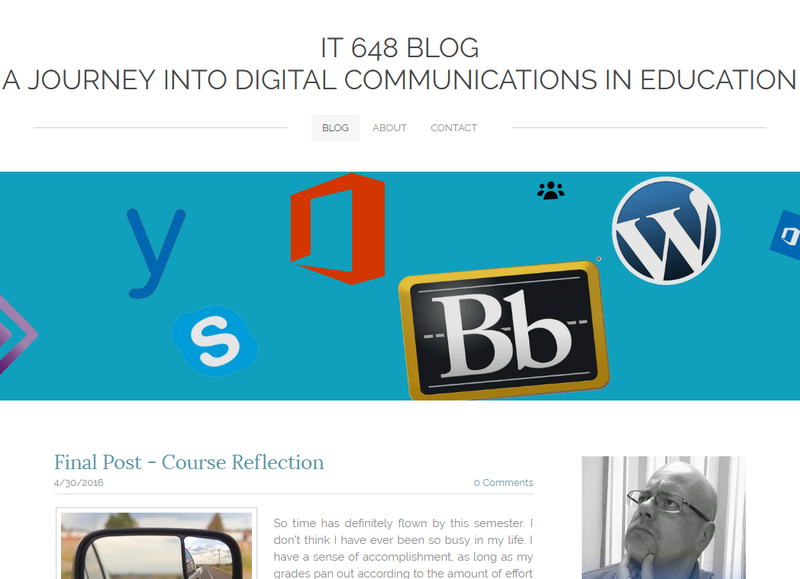 The second artifact I have chosen is the blog that I created for IT 648 that goes more in depth into the communication tools that can be used with students online. Any virtual classroom can become stale and tiresome to students and teachers that incorporate other communication tools into their course can make it more interesting for their students. A virtual classroom that allows for the teacher to pull in various Web 2.0 tools is necessary as more courses go online. The teachers should be able to pick the best tools for their course, and the LMS should be the best classroom. The final artifact I chose is a powerful learning tool that I felt was very compact, but engaging nonetheless. The Web 2.0 tools help to meet the standard by giving students a place to collaborate. Before them, everything on the Internet was static and they have allowed us to move much more of our learning online. ThingLink is my third artifact for this standard. 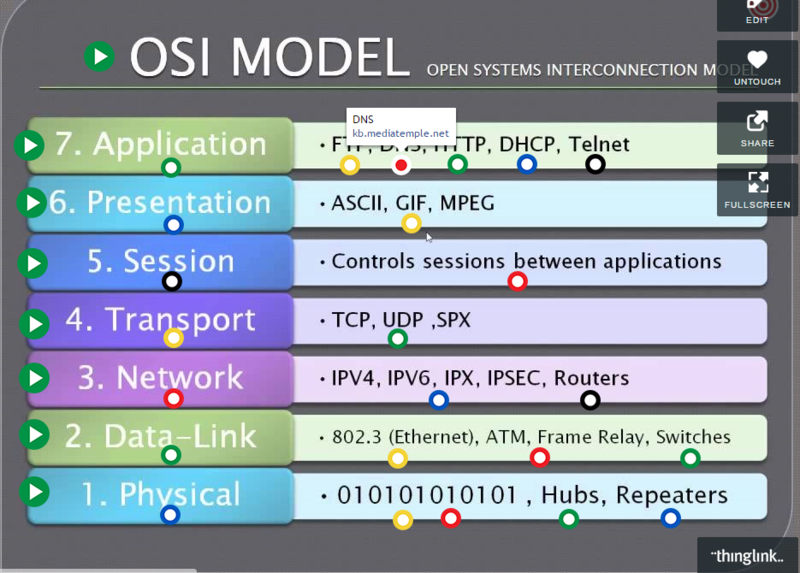 Thinglink allows a large amount of information in a small footprint. It is a perfect example of the type of tool that could be brought into the virtual classroom. Thinglink could become a collaborative tool, but it's strength is in providing a visual tool to increase understanding. Students tasked with creating a Thinglink of their own will discover that it does take planning, and that a lot of creativity can be packed into a single project. In creating it, I found that there was always more I could do and add to the project and I was forced to stop myself simply so that I could turn it in for my class. I would like to be instrumental in bringing a successful 1:1 initiative to my school district. The data does not show a significant impact in student achievement in those districts that have implemented 1:1. I would consider myself a success in my career if I can do the research and put together a plan that when successfully implemented does improve achievement for our school district. I have created a plan for my school district, and if we are able to be successful I will be able to facilitate and inspire student learning and creativity for every child in my school district. I am sometimes praised for always pushing forward and coming up with new ideas, but sometimes my eagerness is chastised. I hope to continue to always move forward in doing what I enjoy. I enjoy finding new ways to do things, and I hope that I can have the time to sit down with educators and show them what I have found and learned so that they can take it into the classroom with them.